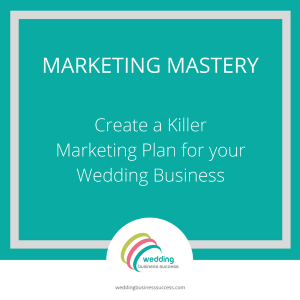 You’re talented, you offer a great product or service and you’re putting loads of effort into marketing your wedding business. But nobody is buying. The phone is silent and your email inbox is all spam and no enquiries. It’s so demoralizing when you’ve worked so hard. But don’t give up – you may only be a couple of tweaks away from success. 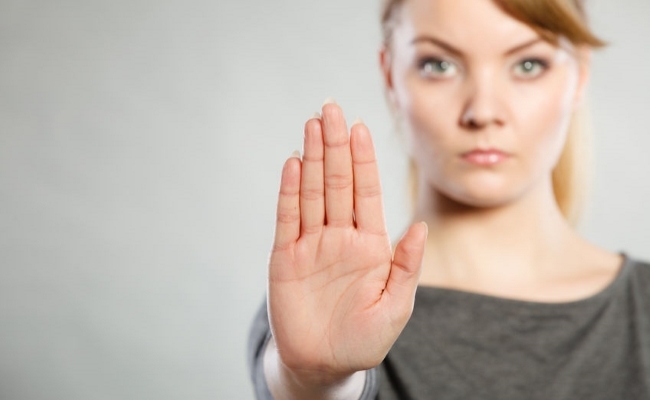 Take a step back and check out your business against these 5 common mistakes. You can have the most beautiful looking website in the world, but unless you make it straightforward (and obvious) what the next step is, many couples will simply browse and move on. And that next step should be very easy to do. If you ask them to complete a 7 box enquiry form just to find out your prices they won’t bother. Firstly, make sure you have all the practical details on there. The geographical locations that you cover. Your opening hours if you have a shop. Then tell them what the next step is and encourage them to take it. It could be call for a no obligation chat, email for a brochure, book an appointment online. Guide them into the buying process and make it as simple as possible. Is it really clear what you offer? Sometimes we are too close to our business and need to look at it from an outsider’s point of view. Choice is good – but too much choice just confuses people. So don’t cram absolutely every possible service onto your website – just pick a select few and add a catch-all sentence asking them to get in touch if they want something slightly different. If you offer products such as stationery, jewellery, etc, make sure your online shop is well organised so customers don’t have to browse through pages of items to find what they want. Brides and grooms are entrusting you with the biggest day of their lives – they need to be sure you can deliver. As well as examples of your work (especially professional photos from real weddings) make sure you have testimonials and reviews which demonstrate that you have delivered on your promises. If you’re just starting out, be honest about it. Some couples are happy to go with a newcomer if the price reflects this. Branding isn’t just for big corporates – it matters for the smallest business. And everything you do needs to reflect that brand and present a cohesive message. There’s no point positioning yourself as a high end photographer charging premium prices if your website looks a mess and your email address is from Hotmail. And if you design funky, contemporary wedding stationery then make sure your social media profiles and posts are fun and colourful too – no corporate looking headshots of you in a black suit. 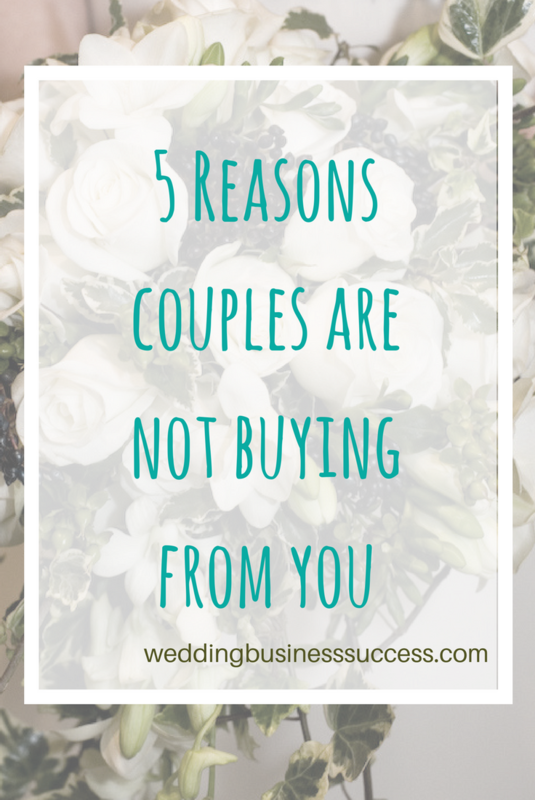 It’s not enough to understand your ideal customer – you have to know how they find their wedding suppliers and then work out the best ways for them to find you. Are they doing all their own planning? Will they rely on the venue coordinator for recommendations? Will they use an independent wedding planner? For example, if you are that independent wedding planner targeting busy professional couples, you are not going to meet them at wedding fairs. That’s why they hire a planner – to do the legwork for them. And if you are a cake maker targeting those couples, think about how you can build your network so that planners and venue coordinators have your name right at the front of their little black book. Just a few adjustments to your marketing and approach could be all you need to set your business flying.